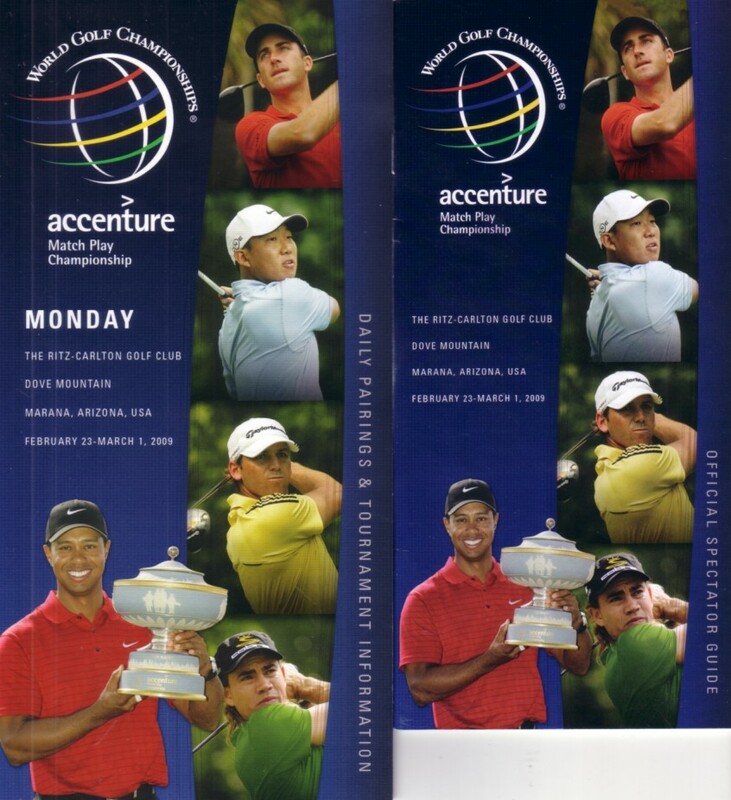 Spectator Guide and Monday practice round Tournament Information pamphlet set from the 2009 WGC Accenture Match Play Championship PGA Tour event played in Tucson, eventually won by Geoff Ogilvy. Both items feature 2008 winner Tiger Woods along with Ogilvy, Vijay Singh and Sergio Garcia. Very minor flaws and wear. ONLY ONE SET AVAILABLE FOR SALE.